Wonderful card, Elena! 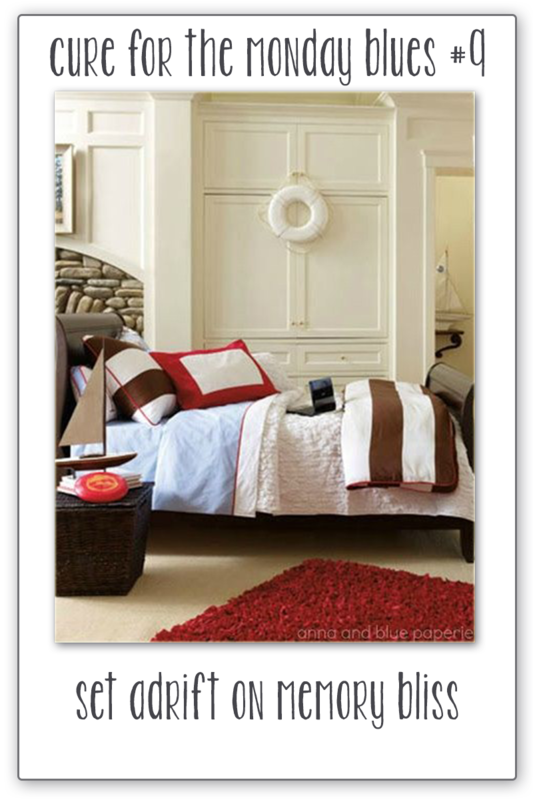 I love the red and white stripes and the starry sky! What a FUN card!!! Love the colors! So sweet! I love the stars and the anchor! LOVE this Elena (well, I love Everything you do (-: ) - such a perfect design and so pretty and sweet! Great card. It never occurred to me you could emboss and then ink over it! Thanks. 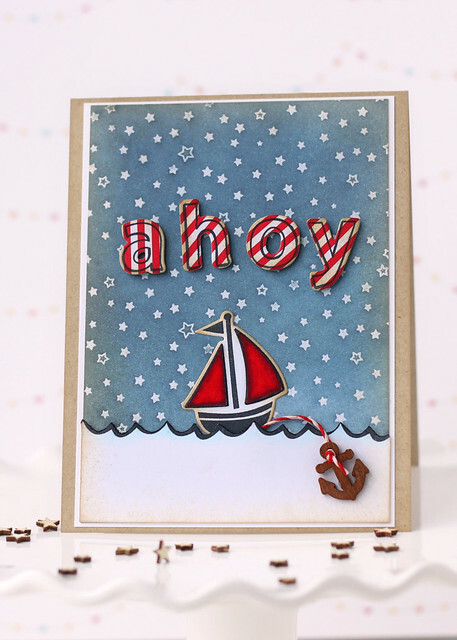 110% adorable - from that cute little boat with the wood veneer anchor to that awesome background and those striped letters that I just can't stop staring out!! So awesome!! Thanks so much for playing to find a Cure For The Monday Blues!